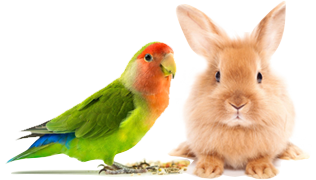 Posts – Pet Birds by Lafeber Co.
Posted on April 17, 2019 by Irene Pepperberg, Ph.D.
As I’ve noted previously, we always try to give our birds specific, task-related items as rewards when they respond correctly to our queries. So, for example, if they identify a piece of wood, they get to chew it up. Same for pieces of paper and such. Ditto if they give the correct color or shape—they get to chew on the green ring or the four-corner piece of wool. The point of such rewards is to ensure that the birds understand the one-to-one correspondence between the label they are using and the object that they receive. With this procedure, they quickly see that their labels are meaningful and can be used to obtain objects and alter their environment. Sometimes, however, we just can’t give them these so-called “referential” rewards. Maybe the birds are so bored with the toys from extended play, or the objects are too expensive to replace. In those instances, we train them to use the label “want,” so that they can request something else as a reward. In that case, we are still maintaining some reference, as we say things like “You’re right! It’s an X! Now, what do you want?”—and then, within reason, we give them exactly what they request. Again, they see that their vocalizations are meaningful. Occasionally, the birds are actually directly working for a very desirable reward (e.g., finding a hidden nut) rather than labeling something. In those instances, we try to keep the rewards small enough so that we can fit plenty of trials into a given session before they stop working. Usually, treats like bits of raw cashews or organic crackers are such valued items for them, and they seem like bottomless pits in terms of consumption, that we don’t have any problems getting through the tasks. A long time ago, my students and I did a similar analysis of Alex’s vocalizations (Patterson & Pepperberg, 1994, 1998), in that case looking at labels that were even more closely related—so-called “minimal pairs” like tea and pea that differed by only one phoneme (a basic or “minimal” unit of speech). The idea for the current study is to see whether Griffin uses the same types of strategies to produce his labels as Alex had used, and whether the more advanced types of analyses now available will provide additional information. The problem was that we needed at least 20 instances of each of the labels that my colleague wanted to study, which meant that we were asking Griffin to say the same things, over and over and over, for several days in a row. Initially, Griffin was fine. The several microphones in his face didn’t faze him, and he labeled the objects and took them as his reward. Then he began to balk. Understandably—he wasn’t making mistakes, and yet we kept asking the same questions! So, we started bribing him with nuts…either very small pieces after every response, or somewhat bigger pieces after several responses. That worked for a while. Then we had to go to the bigger pieces for every answer. Finally, by Friday evening, he had absolutely had enough: Every time we brought out a new object, even if we showed him a nice big piece of cashew, he would turn away from us and start to preen…or he would state “Wanna go back!” (i.e., to his cage). Clearly, at some point, even his favorite treats just weren’t enough to keep him working at what he viewed as a totally boring task. We didn’t take his picture, but anyone with parrot would have recognized the equivalent of the teenager’s eye-roll that tells a parent, REALLY!!?!?! You’ve GOTTA be kidding! We really couldn’t blame Griffin—he’s a living organism with his own wants and desires, and we had to respect his wishes. In the normal course of events, we would never push our birds to work when it is clear that their interest in a task has waned. This time, however, because my colleague had only a few days to get all the necessary recordings, we were just hoping that bribes would keep Griffin happy. And they did, but only to a certain extent. I guess that all creatures have their limits. Patterson, D.K. & Pepperberg, I.M. (1994). A comparative study of human and parrot phonation: I. Acoustic and articulatory correlates of vowels. Journal of the Acoustical Society of America, 96:634‑648. Posted on March 19, 2019 March 21, 2019 by Irene Pepperberg, Ph.D. Many parrot species are endangered in the wild, and because most humans are more likely to want to conserve species with whom they share some commonalities, demonstrating avian intelligence can be incredibly helpful. When I’m being interviewed by the media, I’m often asked why I study parrot cognition…What is the point? After all, my work doesn’t help to cure or prevent some dreadful disease, or provide the world with some new important invention. My response, given many times, is that there are other very good reasons to do this work. One reason is to educate owners as to the intelligence of their avian companions, so that the birds can be given the appropriate mental stimulation to keep them happy and healthy. These birds are as smart as at least a 6-year-old child — one wouldn’t lock such a child alone in a playpen with only a few toys and snacks for over eight hours a day and expect the child to be a well-balanced individual! Another reason is to assist with conservation efforts — many parrot species are endangered in the wild, and because most humans are more likely to want to conserve species with whom they share some commonalities, demonstrating avian intelligence can be incredibly helpful. I’ve also collaborated with therapists to adapt our training techniques to engender communication skills in children on the autistic spectrum. And I often talk with colleagues who are involved in designing various forms of artificial intelligence — who think birds might be good models for teaching AI systems how to learn. However, I also have a somewhat selfish reason — I want to find out just how clever these birds actually are, and more about the continuum between human and nonhuman intelligence. A little history helps to understand my point. Although Darwin’s concept of continuity was accepted by many biologically oriented scientists during his lifetime, it has taken almost a century for his proposal about the logical sequel to anatomical continuity — i.e., neurological, behavioral, psychological, and mental continuity — to be considered with comparable interest. Only in the late 1960s did scientists begin to accept that many cognitive processes observed and studied in humans might be found in nonhumans (see Hulse, Fowler, & Honig, 1968). Only more recently has the scientific community accepted that many such processes can be found in non-primates, non-mammals, and even invertebrates. As a consequence of this acceptance, studies of nonhuman cognition have made, and continue to make, major contributions to our understanding of the origins and evolution of human cognitive processes. Specifically, insight into what are likely basic abilities are provided by the comparative study of how widely divergent, existent species — living in ecological habitats and social environment both similar to and different from those of our human ancestors — solve what are nevertheless often comparable problems. Notably, the wider the scope of research, the more species that we find capable of such intelligent action. At a recent international conference for psychological science (ICPS, Paris, March 2019), several symposia, my own included, compared nonhuman primates, cetaceans, dogs, wolves, parrots, turtles, and fish. My interest, of course, is in parrots — whose last common ancestor with humans dates from the time of the dinosaurs (Hedges et al., 1996)! Various arguments exist over the extent to which the avian and mammalian lines diverged and how similar evolutionary pressures resulted in what we call “convergent evolution.” For example, in a previous blog, I described the avian brain and why and how it is capable of all sorts of advanced cognition. I emphasized that although the avian brain looks very different from that of mammals, it functions in very similar ways. Well, we know that the very different-looking but similar-functioning bits of brain that are found in mammals and birds — those bits that are responsible for intelligence — clearly derived from the same dinosaur brain. But did they evolve from the same piece of brain and evolutionary pressures were exerted that made them look different while retaining the same function? Or did they evolve from slightly different pieces, and evolutionary pressures were exerted that make them now function similarly? The real issue for me is the extent to which the abilities these bits subserve actually converge when we look at how well various different species solve similar tasks. Let’s look at how evolutionary pressures might work to make or keep these functional similarities, whether they derived from the same or different bits. For example, if we look at African grey parrots and chimpanzees, we find the many similarities in intelligence that I have often described — both tend to solve problems at the level of young children (e.g., see figure below). Many similarities also exist in their ecological and ethological environments (Pepperberg, 2018). They are both what are described as “K-selected”— both species are long-lived. Both have few offspring at any one time that have a relatively long juvenile period during which they continue to learn important physical and social skills from adults or peers. Both species have complex social environments — that is, interact with fairly large numbers of individuals over their lifetimes whom they have to recognize as friend or foe. Both have dominance hierarchies so that they need to learn complex skills such as transitive inference (i.e., “Sam beat up Joe, Joe beat up me — I should therefore infer that I’d better not challenge Sam!). Both forage long distances each day so that they must have very reliable, rather large cognitive maps of their environment (i.e., information about where to find different sources of food and water and the capacity to update the information about these sources on a regular basis). It’s not too far-fetched to believe that the need to develop abilities to deal with these similar environments exerted similar evolutionary pressures on the ancestors of both of these species — and maybe our own — and that the results were the similarities in intelligence we now observe. So, even though the study of parrot cognition may not seem as though it is of great use, the results of such studies may have considerable importance: Overall, the field of nonhuman cognition could provide essential knowledge crucial to the overall study of human cognitive processing! Hedges, S. B., Parker, P. H., Sibley, C. G., & Kumar, S. (1996). Continental breakup and the ordinal diversification of birds and mammals. Nature, 381, 226–229. Hulse, S.H., Fowler, H., & Honig, W.K. Eds. (1968). Cognitive Processes in Animal Behavior. Hillsdale, NJ: Erlbaum. Pepperberg, I.M. & Shive, H.A. (2001). Simultaneous development of vocal and physical object combinations by a Grey Parrot (Psittacus erithacus): Bottle caps, lids, and labels. Journal of Comparative Psychology, 115,376-384. Pepperberg, I.M. (2018). Grey parrots: Cognitive and communicative abilities. In N. Bueno & F. Amici (Eds. ), A Practical Guide to Animal Cognition, Cambridge, UK: Cambridge University Press. Posted in Behavior, Editor Choice, New2 Comments on Inside Dr. Pepperberg’s Lab: Why Study Parrot Cognition? You might have a cockatoo in your home without even knowing it! Yes, your diminutive cockatiel—the most popular pet bird in the US—is related to the much larger cockatoo. Seriously; there are 21 species of cockatoo and the cockatiel, also referred to simply as the ‘tiel, is one of them. The cockatiel is thought to be one of the earliest offshoots of the cockatoo lineage, and, when you take a closer look at the cockatiel, you’ll start to see the cockatoo connection. Crest feathers that they can raise up or down? Cockatiels and cockatoos both have them. That adorable way your cockatiel’s cheek feathers cover the side of the beak when he or she is relaxed? That’s a classic cockatoo pose. Cockatiels and cockatoos are also known for their powdery down feathers. If you share your home with a ’tiel or a ’too, you might notice that they leave an “imprint” of themselves if they bump into a mirror or window, or that housing them anywhere near electronics might mean extra dusting. After a bit of debate among taxonomists, the cockatiel was ultimately placed in the monotypic subfamily Nymphicinae (a monotypic species is one that doesn’t not include a subspecies). The cockatiel is now classified as the smallest of the Cacatuidae (cockatoo family). The ‘tiel also falls under the definition of parakeet. But before you start thinking of the smaller, commonly colored blue or green little bird—more accurately referred to as a budgerigar, or budgie for short,—know that parakeet simply means “long-tailed, small- to medium-sized parrot.” Interestingly, it is believed that the cockatiel’s decrease in size, compared to others in the cockatoo family, is a morphological consequence and accompanying change of ecological niche, which is the scientific way of saying that a species evolved to match a specific environmental condition. All said, there are 21 species of cockatoo. They differ from other parrots not only because of their crest, but also because of their colors. The most popular pet cockatoo species are mostly white, and include the umbrella cockatoo (Cacatua alba), Sulphur-crested cockatoo (Cacatua galerita), and Goffin’s cockatoo (Cacatua goffini). There are also black cockatoos, such as the palm cockatoo ((Probosciger aterrimus), and red-tailed black cockatoo (Calyptorhynchus banksii), as well as gray ‘toos, of which the cockatiel (Nymphicus hollandicus) is one, along with the gang-gang cockatoo (Callocephalon fimbriatum), even pink cockatoos like the Major Mitchell’s cockatoo (Lophochroa leadbeateri) and Galah cockatoo (Eolophus roseicapilla). Our response to music is seen in many different ways and on many different levels. Music can induce happiness, sadness, and a multitude of other emotions. It’s why we listen to it. But do animals experience the same type of emotions that we do? The internet is awash with YouTube videos of parrots and other birds bopping along to a song. Of course, a song lyric’s meaning is presumably lost on a parrot, but certainly the music, with its varied sets of beats, harmonies, vocal patterns and other elements, can invoke a behavior in a bird that is often relatable. Plus, it’s easy to recognize that birds themselves employ their own birdsong with which to communicate and to infatuate others of their kind. Since Darwin, birdsong has been pored over to determine if it is a musically rewarding trait. Overtime, the many neural responses to music has been studied to determine just what the intents actually are, or if birds receive a pleasurable “reward” moment. Without getting into the incredibly complicated testing phases created for a 2012 Emory University study, scientists determined that female birds, when hearing birdsong, responded to the music in much the same way as people do. In short, the same neural pathways that the human brain employs are the same pathways in use with female birds. For male birds, they revealed a different acceptance, which was not as easily determined to be positive, negative, or indifferent. In fact, some songs appeared to make male birds angry. As to human created music to the ears of a bird, many bird owners are convinced that there is an appreciation to what is being heard and that it is at times displayed in a dance. Common parrot dances consist of pumping and bobbing motions; back and forth movement between spaces, and other various forms of what could be considered a physical response to the music being heard. We can acknowledge that some birds learn to move during a “favored” song because the bird was taught to do so. Many owners simply start a song, begin dancing, which triggers a mimicking response in the bird. Eventually, the same song will “jump start” the bird to “dance” just as the bird was taught to. Ultimately, there are many stories of birds responding to a particular style of music, even to the point of rejecting a song by behavior recognizable to the owner as a dislike response. Other studies have supported that parrots can be choosy as to the type of music they prefer. Some seem to prefer calm and complex classical music, some calm Pop, while others appreciate louder, more raucous tunes. But it was determined that most, if not all, of the birds disliked the popular electronic dance music. Given human and creature individuality, it’s not surprising that birds exhibited a unique preference to what they were willing to hear. Another unique but small study gave several parrots an ability to self-select songs. A touch screen was installed in cages that gave the birds easy access to several types of music, which revealed unique preferences. In the course of a month’s time, both parrots selected their personal favorites no less than 1,400 times between them. This study encourages the use of selectable jukeboxes for parrots within their cages to afford them yet another method of self-entertainment. Much is still unknown about how birds appreciate music. But one thing is sure among owners: their birds seem to like music of some kind – just not harsh ambient electronica. In nature, things happen in unexpected ways. As change moves forward, one of the unfortunate results is that all manner of biological beings inevitably face extraordinary circumstances against that which have served them well for so long. So long, in fact, that we don’t even have proper history of much of it. As historical data began to accumulate, thanks to the extraordinary interests and feats of a few scientists, we have come to vitally recognize what was -and still is- important to many species in terms of habitat, food, predator safety, and climate. Many once vibrant creatures became extinct due to overwhelming changes that did not allow for the sustaining of that species’ kind. With science, however, extinction could now become a reversible event. In recent years, a science referred to as de-extinction has become more than a flight of fancy in the minds of scientists, especially biologists. To date, science have produced remarkable tools – all still in their infancy, and all looked upon in various degrees of ethics. “Jurassic Park,” the popular novel and movie series, entertained the concept of reintroducing age-old dinosaurs using DNA extracted from fossils of these ancient creatures and merging them with existing animals likely extended from the lineage of the dinosaurs. However, in actual science, it’s been realized that DNA ages to the point it becomes unusable. That keeps challenging storylines like “Jurassic Park” from becoming reality. The Great Passenger Pigeon’s Comeback? A project known as The Great Passenger Pigeon Comeback is in the oversight of Ben Novak, a scientist with an interest in ancient DNA. At the McMaster Ancient DNA Centre, Novak learned the process of DNA extraction as well as properly sequencing Mastodon fossils. With his current work at the Long Now Foundation, where he has been employed since 2012, he has helped to further establish the core intent of Revive and Restore the extinct passenger pigeon. Comparing the genome of the extinct passenger pigeon (Ectopistes migratorius) with that of the band-tailed pigeon (Patagioenas fasciata) to assure compatibility. A studied approach to the Passenger Pigeon Project will give you a greater realization of the entire project. In addition, the noble purpose of the necessary revitalization of the ecology of North America’s eastern forests, of which the passenger pigeon is thought to be a vital part, is a sought after effect. You can further explore that here. In addition to Novak’s active work on the de-extinction of the passenger pigeon, he is equally interested in producing a widely shared and available database of extinct species with complete genome information and genetic mapping, all in the hopes of the de-extinction of other species. With this new science and its upcoming potential successes, the possibilities for the de-extinction of many birds, including those who most recently became extinct – like the Spix’s macaw, or blue macaw, (Cyanopsitta spixii )–can be realized. CRISPR technology was adapted from the natural defense mechanisms of bacteria and archaea (the domain of single-celled microorganisms). These organisms use CRISPR-derived RNA and various Cas proteins, including Cas9, to foil attacks by viruses and other foreign bodies. They do so primarily by chopping up and destroying the DNA of a foreign invader. When these components are transferred into other, more complex, organisms, it allows for the manipulation of genes, or “editing.” Here’s an example of a CRISPR research in action to save the Northern white rhino here. Posted in New2 Comments on Can “De-Extinction” Bring the Passenger Pigeon Back? Posted on February 13, 2019 February 13, 2019 by Irene Pepperberg, Ph.D. In previous blogs I’ve talked about the importance of using “inference by exclusion” (inferring where something can be found after being given information about where it is absent) for examining nonhuman cognition. Many species succeed at the task at some level, but only a few exhibit a very special case of this behavior involving symbolic communication—something called mutual exclusivity (ME). Interestingly, African grey Griffin demonstrated something very much like ME when initially learning his labels. The term was first coined by Markman (Markman & Wachtel, 1988), but was previously studied by Carey (1978) under the term fast mapping, in experiments to determine how children acquired their early labels. The task is something like the following: A child is shown two toys that s/he can label (e.g., a ball and a block) along with one novel object (e.g., a cherry pitter). The child is asked to give the experimenter the “dax.” Now, the child knows that neither the ball nor the block is ever called a “dax,” so, by exclusion, s/he picks up the novel item, and thereby maps the novel label to the novel object. Shusterman (Shusterman & Krieger, 1984) used a similar strategy to teach sea lions new labels for new objects. Of course, the extent of mapping is dependent upon context—if a subject is given several of these trials at once, with several new labels (e.g., “dax,”, “glif,” “nep”), and then given all of the novel objects at once and then asked to choose the “dax,” the mapping often isn’t as good as if the original trial is repeated several times; that is, with only one novel object-novel label connection. However, learning with exclusion is often faster than simple pairing of label and object, and is therefore thought to help children expand their vocabulary. ME also seems to help children eventually learn category labels and labels for attributes of objects—but not in their early stages of acquisition. Interestingly, children often have a very difficult time learning that a specific object can have two labels—here, they initially take ME too far, believing not only that every object has a name, but also only one name. So, for example, they happily label the family pet as a “doggie,” but will vehemently state “No animal…doggie!”, excluding the second novel label. Obviously, at some point, they override this aspect of ME, because all normal children learn lots of labels for each of their objects. And, at that point, ME will then help them learn new attribute labels—e.g., novel colors. So, when given a yellow block, a blue block, and a vibrant pink block, and asked to give the experimenter the “fuschia” one, few of them hesitate in their choice…not only do they know that all the objects are blocks; they also know the referents for yellow and blue, and thus use ME to infer that the novel vocalization had to refer to the color label for the novel attribute. Furthermore, if later asked if “fuschia” is a color, shape or a material, they say it is a color. So, how does Griffin fit into all this? Well, his label training differed a bit from that of Alex the African grey. When I started working with Alex in 1977, I didn’t know anything about ME (it was just beginning to be studied in children), but I figured that if I wanted him to learn object labels, I’d best start with items that had very few other attributes, such as color and shape. So, for example, “paper” referred to pieces of a white index card, “wood” to uncolored tongue depressors, and “hide” to amorphously shaped pieces of rawhide. He had no problem learning these labels (Pepperberg, 1981). When it came time to teach color labels, I dyed several objects with one shade of food color, and then we modeled “What color?” with responses of “green paper,” “green wood,” so that the attribute—the color green—was an additional label rather than a second, separate label, and that two items with different object labels had only that one particular novel attribute in common. Again, Alex had no trouble learning color labels and, in the same way, shape labels (Pepperberg, 1981, 1983). By the time Griffin came on the scene, however, all the various objects in the lab came in all sorts of colors and shapes, and we decided to see if that made any difference when teaching him his labels. ME then came into play: Indeed, when asked “What color?” for an item for which he already had a label (“wool”), he at first ignored the query, rejected the color label, and responded “wool” (Pepperberg & Wilcox, 2001) even though he knew the appropriate color label! And he simply wouldn’t learn the label “cup!” Just like the young children who initially used ME to exclude “animal” for a dog, it took months of training to get Griffin to understand that an object could be both “green” and “wool,” or “blue” and “wood”—and likewise with shape and novel object labels. Eventually, of course, Griffin, again like children, fully understood how objects could be categorized with respect to various different attributes, and now is as competent as was Alex with respect to labeling all these attributes (Pepperberg & Nakayama, 2016), and better than even 5-year-old children on physical tasks of inference by exclusion (Pepperberg et al., 2018). However, it was quite exciting to find that the path of label acquisition, including ME, could be so similar for species that are so evolutionarily distant! Carey, S. The child as word learner. In M. Halle, G. Miller, and J. Bresnan (Eds), Linguistic Theory and Psychological Reality. Cambridge: MIT Press. Markman, E.M., & Wachtel, G.F. (1988). Children’s use of mutual exclusivity to constrain the meanings of words. Cognitive Psychology, 20, 121-157. Pepperberg, I.M. (1981). Functional vocalizations by an African Grey Parrot (Psittacus erithacus). Zeitschrift fiir Tierpsychologie, 55, 139-160. Pepperberg, I.M. (1983). Cognition in the African Grey parrot: Preliminary evidence for auditory/vocal comprehension of the class concept. Animal Learning & Behavior, 11, 179-185. Pepperberg, I. M., & Nakayama, K. (2016). Robust representation of shape in a Grey parrot (Psittacus erithacus). Cognition, 153, 146–160. Pepperberg, I. M., & Wilcox, S. E. (2000). Evidence for a form of mutual exclusivity during label acquisition by Grey parrots (Psittacus erithacus)? Journal of Comparative Psychology, 114, 219–231. Schusterman, R.J., & Krieger, K. (1984). California sea lions are capable of semantic comprehension. Psychological Record, 34, 3-24. Survival is a broad spectrum concept that occupies the minds of many. It’s found in our daily worries like matters of politics, finances, personal health, social status, and mental stability. Needless to say, it likely crosses someone’s mind at least once a day. But survival isn’t an exclusive part of the human kingdom. Survival is also found throughout nature. There are uncountable studies and realizations of survival as it sweeps through the kingdoms of animals, plants, and even our microscopic but vast world of microorganisms. Humans spend a large amount of time and energy developing extraordinary plans to avoid the threats of extinction even though we may never understand the eventual results of such plans. Survival is that important to us. In the world of animals, many scientists are striving to help preserve the rapidly diminishing populations of endangered creatures. Far too many animals have already disappeared from our planet never to be seen again. Biologists have investigated and developed detailed plans. These plans are formulated to help ease the threat of any extinction. They are crafted to give disappearing animals a decent fighting chance to overcome the challenges of a fast-changing world that often does not consider the destruction of necessary habitats. In the world of birds, many of our beautiful exotic birds have become endangered to the point of probable extinction. In 2018 alone, some have gone forever from us. Conservation ecologists at UCLA have discovered a healthy increase of the red-crowned parrot. This bird is native to Mexico and is considered to be endangered there with an estimated population of 1,000-2,000 birds. However, in Los Angeles a population of feral red-crowned parrots estimated at between 2,000-3,000 is actually considered to be growing. With a habitat as far away in kind as that of their familiar Mexico habitats, these non-native birds don’t seem to mind. They’ve adapted and seem to proliferate as a result. But California is not the only place these birds have adopted as home. Some of these beautiful and determined birds have also been found in Florida and in Texas. The ecological scientists at UCLA have created a project called Urban Ark with the realization that there’s something about the urban locale that effectively encourages these birds to adapt and to thrive. In their project, they are working to encourage the introduction of other endangered bird species into the cities hoping that newly introduced birds can rediscover a purpose to exist and to thrive, much like the Red-crowned Parrot has. There are nay-sayers to the Urban Ark concept. In every situation, sometimes the proliferation of a species can bring new and unsuspected havoc upon the native ecological balance in place. For instance, the Northern Pike, a predator fish often found in the freshwater lakes of the northern regions of the United States, and Canada, had been maliciously introduced into a California lake. The Northern Pike proceeded to rapidly decimate the lake’s inhabitants of natural fish, as is its nature. Efforts were eventually successful in eradicating the fish thus restoring the lake’s original balance. This is but one warning against the introduction of non-native species into a strange ecology. Regardless, the concept of preservation is a noble one and needs to be fully researched. If it works well for the red-crowned parrot, it could help preserve the unnatural decline of some of our other species. Of course, animals and birds are not the only living things that could be helped by an “Urban Ark” design. There are also plants, fish, and every manner of species in decline. Some of them can be given new opportunity, particularly if they pose no threat to the carefully engineered ecology of the region. The valid argument is that a city itself is a created habitat. It then becomes home to a varied collection of people, who require a varied collection of interests. With that argument, it makes sense that life of all kinds can be made to exist in a region designed to encourage just that. They only have to be able to properly co-exist. What do birds look for in a mate? For female budgies, problem-solving ability appears to make males more attractive. From a revolutionary stand point, it might serve birds well to opt for partners that show good foraging prowess. See the tricky way researchers got female budgies to ditch their preferred mates to those trained to solve puzzles. Bird aficionados know that even small birds can pack a powerful pinch when they don’t wish to interact. Researchers at the University of Lincoln and the University of Reading studied “bite-“force data” from hundreds of animals species, including reptiles, birds and mammals, and concluded that the Galapagos ground finch’s bite is more than 300 times more powerful than a Tyrannosaurus Rex in relation to its size. Ever take a close look at one of your bird’s molted flight feathers? If you gently tug at it, you might notice the little barbs that keep the feather together can be unzipped and effortlessly zipped back together, even to point where it will still repel water. For scientists, the feather’s engineering marvel could potentially lead to better adhesives and aerospace materials. Check out this up-close look[l] at the feather’s impressive construction. Need a little inspiration to film your bird’s cute antics or simply love watching birds do adorable things? Meet Alex the honking cockatiel, who, according to his person, saw his internet fame suddenly explode when his 43-second YouTube video, posted a year earlier, suddenly garnered a million views. For birds and humans alike, bathing is one of the essential elements of day-to-day living. And like us, some birds like it, and some tolerate it—some even hate it. If you peruse YouTube, you’ll find more than a few videos of owners and their exotic birds bathing in a variety of ways. Some take showers; some use the running water from faucets in sinks. Still other smaller birds, like parakeets, can find use from clean water bowls. In the wild, exotic birds typically experience a lot of rain in which to bathe. In a home environment, alternative methods have to be employed to keep companion birds as clean as if they were in the wild getting a natural bath. There are numerous online articles and videos addressing how to properly tailor the bathing procedures that works for household bird(s). Some may suggest improper methods of bathing, so again, research heavily before adopting any of them. A warm inside ambient temperature is ideal for birds when giving baths. You can use bowls, spray bottles (with lukewarm water), or even your own shower space. Kim Hannah, owner and caretaker of Exotic Avian Sanctuary of Tennessee (EAST), says that her exotic birds have several ways of keeping clean. Tori, her Moluccan Cockatoo, prefers the use of a fountain. Wizard, her Macaw, enjoys a spray bottle bath. Kim has a Red-Fronted Macaw who likes to bathe in moistened plants, using the moisture to clean her body and feathers. A close friend of Kim has photographed a juvenile Cooper’s Hawk using her outdoor fountain to bathe. You can view her collection of beautiful bird photos at EAST’s Facebook page. Across the world and within many types of climate, smaller wild birds like cardinals, sparrows, robins, blackbirds, crows, hawks, finches, and others of similar habitats, bathing is an important part of their daily routines. If you’re one who places a birdbath in the yard to accent your landscape, and to provide a nice place for birds to clean themselves, then you’ll often see robust activity at these on days where there is no rain. A few tips should accompany these placements. First, always be sure to keep the water inside the basin fresh and clean. It’s important given the high probability of transmittable diseases amongst birds. In common gathering places, such as these bird baths, sick birds also perform the same grooming habits as their well counterparts. In so doing, they potentially leave behind the germs that plague birds, germs like pink eye (conjunctivitis), avian pox, and other virulent activity. The basin should be flushed out daily to dispose of dirtied water. Additionally, and, of benefit to you, insect infestations can occur in standing stagnant water. Dirty water can even impact the integrity of the construction of a basin. You should try to place any baths in shady regions to avoid beginning growths of algae. That’s why daily power flushes are important for the birds in your area. It’s good practice for their well-being. At least once a week, the bird bath bowl should be scrubbed with a mix of bleach and water (1 part bleach to nine parts water). This will return the basin to a pristine state of cleanliness free from bacterial invaders. Remember, there are also likely other animals in your general area that might find the accessibility of water to be welcome. They can bring a share of unwanted bacteria to a place intended for birds only. The continual cleanliness of these baths will not only bring a pleasing visual aesthetic to your yard, but will go a long, long way in providing a safe place for your neighborhood birds to bathe. It’s good to know that outdoor basins need only be one to 3 inches in depth. Deeper bowls can be difficult for many birds to properly bathe in. Alternatively, you could even employ other methods like waterfalls, misters, drippers and fountains, and other sources of moving water. Nevertheless, you should always investigate and keep clean any area with water (standing and moving), and bird gatherings (feeders and baths). If you’re diligent, you can even provide water during wintry conditions by keeping melted water available for wild birds (with electrically-heated, thermostat-controlled bird baths that keeps water from freezing). Posted on January 9, 2019 February 4, 2019 by Irene Pepperberg, Ph.D.
I’m often asked that question, particularly in regards to parrots that have been or are being re-homed….will they forget previous situations or will their behavior be a constant challenge to a new owner? The answer is not at all simple, and no controlled scientific experiments have actually studied long-term memory in parrots. In the laboratory, few studies examine avian memory beyond that of a few days’ time, at the most; the majority examine delays of only seconds or minutes. Some research on ravens, however, suggest they can remember the calls of various individuals for at least three years (Boeckle & Bugnyar, 2012); pigeons have been tested foronly up to about six months on memory for objects (Cook et al., 2005)—but no one knows how long their memories might really last. Certainly, there are plenty of reasons to believe that parrots’ memories are as good as ours. A number of research papers now demonstrate that these birds have brain areas that function in ways very similar to the human cortex (Chakroborty et al., 2015; Jarvis et al. 2005, 2013; Olkawiciz et al, 2016; Gutiérrez-Ibáñez et al., 2018), that they have extremely high neural densities that enable advanced cognitive processing (which requires good memory; Olkawicz et al., 2016), and that even genomic similarities exist between parrot and human brains (Wirthlin et al., 2018). An ongoing study in my lab suggests that a Grey parrot has a visual working memory that outperforms that of young children and is mostly equivalent to that of adult humans (Pepperberg & Pailian, 2017). Furthermore, many anecdotes exist that claim that parrots can remember situations, other parrots, and people over the course of their long lives. If you do an internet search, you will find many such instances. These instances can, just as for humans, be positive or negative. Thus there are heart-warming stories of parrots that have been reunited with owners after long-term separations. In the wild, parrots need to remember the location and navigational paths to food sources that may be available only once a year; thus the need for some form of long-term memory is clear. We also know that parrots that have been abused suffer from PTSD-like symptoms, and respond negatively to whatever situations or objects remind them of the abusive instances. Like humans, these birds can be de-sensitized with appropriate training and care over time. In the wild, memories for triggers such as rare predators could be life-saving; thus the evolutionary reasons for this form of memory are obvious. What Do Pepperberg’s Parrots Remember? What I find of particular interest is how Griffin—and, again, Alex before him—seem to distinguish between student absences that are short versus long—the break point seems to be about six months. Thus students who have left for a long summer vacation will definitely get the “cold wing” upon their return, as I noted in an earlier entry. However, a student who has graduated and then returned after a prolonged absence will immediately be heartily and happily greeted! Last year, a student returned after a five-year absence, and Griffin acted as though it had been about five minutes. We don’t know any logical reasons for these differences but of course we can anthropomorphize—maybe the “anger” at being abandoned lessens over time, to be replaced with “relief” at the re-appearance of a long-lost friend. In any case, it seems that we should assume that parrot memories are similar to ours, and expect that they will remember people, events, and objects that play important roles in their lives. Cook, R.G., Levison, D.G., Gillett, S.R., & Blaisdell, A.P. (2005). Capacity and limits of associative memory in pigeons. Psychonomic Bulletin & Review, 12, 350-358. Jarvis, E.D., Güntürkün, O., Bruce, L., Csillag, A., Karten, H., Kuenzel, W., Medina, L., et al. (2005). Avian brains and a new understanding of vertebrate evolution. Nature Reviews Neuroscience, 6, 151-159. Olkowicz, S., Kocourek, M., Lučan, R.K., Porteš, M., Fitch, W.T., Herculano-Houzel, S., Němec, P. et al. (2016). Birds have primate-like numbers of neurons in the forebrain. Proceeding of the National Academy of Sciences, USA, 113, 7255–7260. Wirthlin, M., Lima, N.C.B., Guedes, R.L.M., Soares, A.E.R., et al. (2018). Parrot genomes and the evolution of heightened longevity and cognition. Current Biology, doi:10.1016/j.cub.2018.10.050. Posted in Behavior, Health, New6 Comments on How Good is a Parrot’s Long-Term Memory? What is a murmuration?” Chances are, you’ve witnessed the startling grace and beauty of a murmuration of starlings. A murmuration is when a mass of starlings fly in a coordinated manner in what appears to be a moving black cloud. But how is it possible that these birds can be so in tune with each other to know the exact patterns that they fly in? Let’s explore. The starling is officially referenced as the European Starling, so named after their place of origin. Currently, the starling is well-spread around the globe with enough physical changes to create more than 10 sub-species of the bird. Typically, a common starling is about 7.5” to 9” long, weighs about 2 to 3 ounces, all with a wingspan of approximately 12” to 17”. They are a noisy bird, and hang in fairly large flocks (murmurations). In the US, the starling populatio is thought to be approximately 200 million. Their current conservation status is Least Concern, indicating that there is little risk of their extinction. They appear to be resourceful and fully adaptable. The stand-apart beauty of these birds is in their majestic display of flying in concert as a flock. If you have seen this, then you know full well how mesmerizing it can be. Just how they are able to attain such symmetry in flight is the wonder. Fortunately, science has studied just how the starlings achieve such perfection in flight by studying video and photo shots from those videos. In 2012, a science paper published in 2012 concluded that any individual bird within the flying murmuration is perfectly in sync with only seven of its closest birds. With that, they are able to maintain a perfect flight pattern along with the entire flock. The scientist, George F. Young, evaluated photos and videos from flocks of 440 to around 2,600 in size. For any bird, if uncertainty arose as to direction, it immediately adjusted to the pattern of its closet seven pals in flight. The science is simple and demystifies the stunning vision of perfect flight. In actuality, this is not a unique display of cohesion. In fact, if you have seen a school of fish, you would find that they exhibit the same manner of grace in swimming that the starlings produce in flight. Also, if you notice many birds of other species that are gathered in small flocks, you will see that when they fly, they have an interesting control of their combined flight patterns. It might not be as graceful as a starling murmuration (or a large school of fish), but you can see the same science at work. Nature is full of immeasurable and uncountable art not attainable by human means. And for that, we come to love it more deeply, and to amaze at the science of it all. We who share our homes with parrots can see firsthand what research consistently points to – parrots are smart! Now science helps explain how parrots have set themselves apart from other birds. A new study of the blue-fronted Amazon parrot’s genome suggests that parrots are as genetically distant from other birds as humans are from other primates. In fact, one neuroscientist goes so far as to conclude that “parrots are [human’s] parallel in the avian world.” See how similar to the way humans evolved away from primates, parrots evolved away from other bird species. Recent research links birds’ pretty feathers to their evolutionary move to roosting in trees. This fascinating article reveals that birds’ iridescent feathers evolved after they began to live in trees around 150 million years ago. In essence, trees afforded them refuge from predators and having that “evolutionary peace of mind,” evidently afforded birds the opportunity to develop pretty feathers to catch the eye of potential mates. Laughter can become contagious among people, and now research on New Zealand’s Kea parrot (the only parrot to inhabit mountainous regions) shows that these gregarious parrots also like to get in on a good chuckle. See how this makes Kea parrots the first non-mammals known to experience “contagious” merriment. Google “parrot” and your search engine will likely display results for a popular brand of camera drone; essentially a flying, remote controlled camera. Birds’ biomechanics helped inspire drone innovators, but there are also increasing incidents of birds clashing with drones. See how drone operators are meeting resistance from the birds who don’t wish to share their airspace.